Ask someone to name their favorite ginger ale and more than likely you'll hear either Canada Dry or Seagram's mentioned. But mention ginger ale to a Michigan native and you'll probably hear them say 'Vernors." 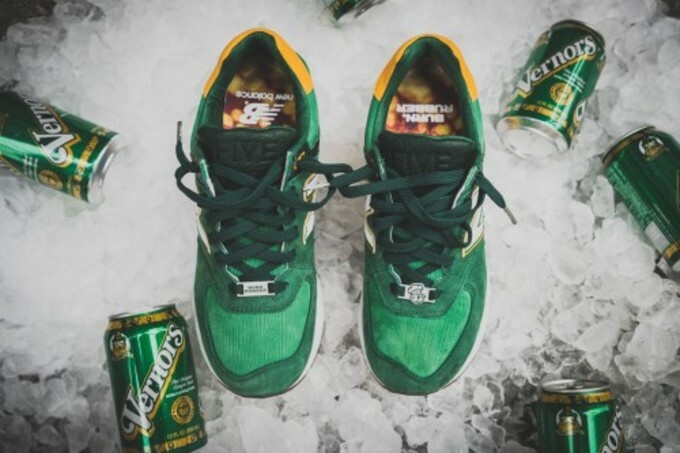 A Michigan original, Vernors ginger ale was created in 1866 by James Vernor when he returned home from the Civil War to find that the beverage he had left in an oak cast barrel had turned into a sweet gingery flavor, as stated on the Burn Rubber's blog. 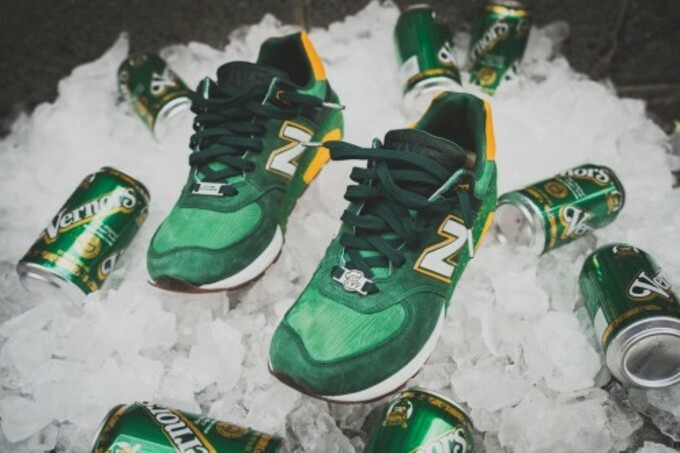 Being a Michigan product themselves, Burn Rubber teamed up with New Balance on the brand's 572 model to pay homage to its hometown ginger ale. 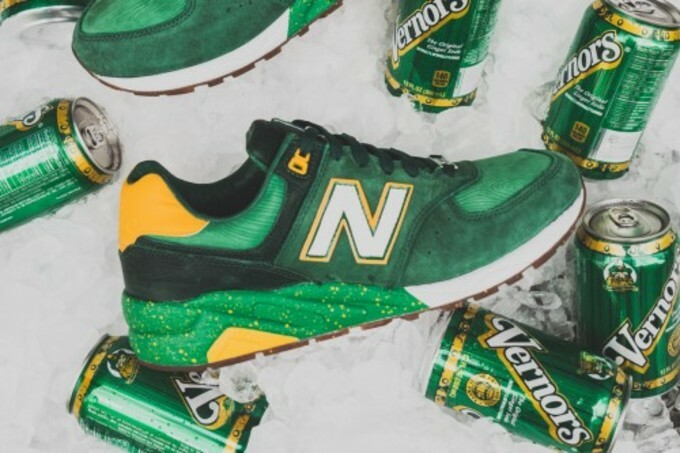 Decked out in Vernors' colors of "Greens and Yellow," the tribute is unmistakable. 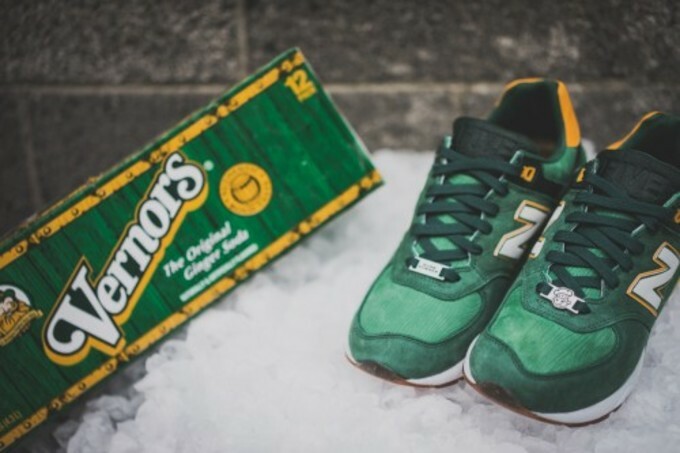 Add in additional details which include a wood grain de-bossed toe box, translucent gum outsole, and a printed footbed, you'll see that the Burn Rubber went the extra mile in telling the ginger ale story. 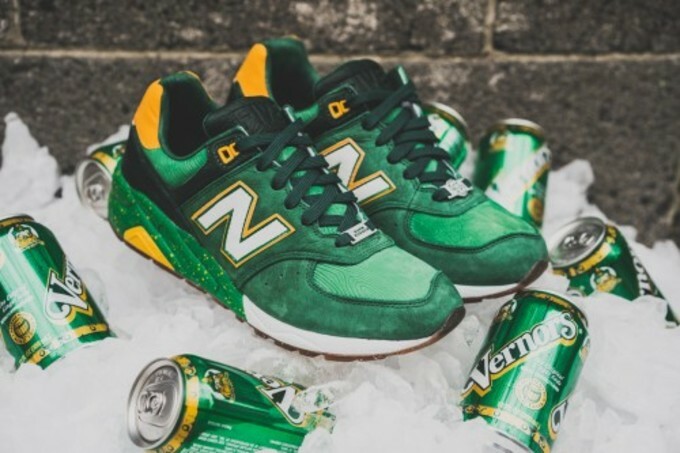 Available beginning November 29 at Burn Rubber, fans of the boutique as well as ginger ale aficionados will want to make sure they secure a pair.